This entry was posted on August 2, 2012 by Russell Smith. 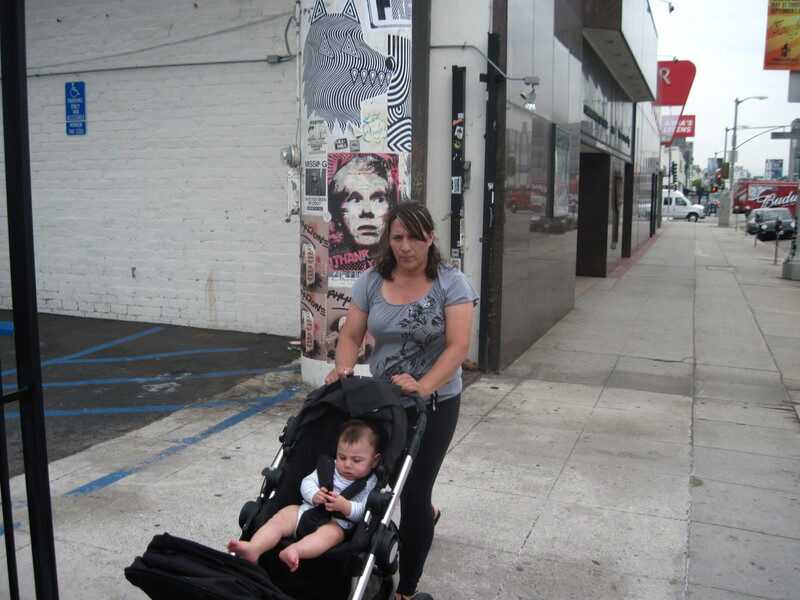 It was filed under Artwork, Street and was tagged with Andy Warhol, baby, baby carriage, Hollywood, parent, Russell Smith. Look at the intensity on the baby’s face…love it. Dear Russell…forgive me please but I have a wee challenge for you !!! I love the intensity of all the faces… the poster, mom & baby. They all seem very serious about life. Oh, I can’t wait to see your photos of the colors. I hope you take up the challenge. I loved the Kiwi perspective. I don’t think she was that happy with me taking her picture.